If you want to plant a church, you need to dream big. 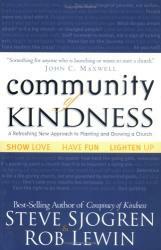 If you want your seedling church to survive - and ultimately bloom and blossom - you really need this book! 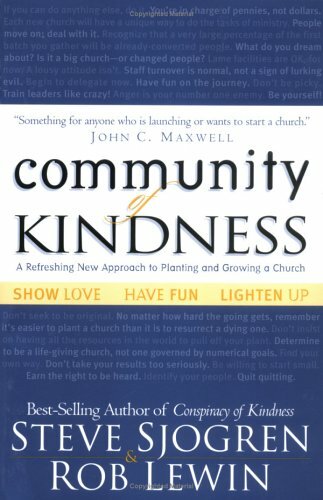 Written by church planters who have "been there, done that," Community of Kindness is a practical, real-world guide to successful church planting - credible, informative, inspirational, supportive and, most of all, 100 percent problem-solving oriented. All of the book's lessons are short, pithy and to the point. So you can use them to preplan your goals - or refer to them every time the unexpected pops up (which is more often than not). Wherever your church-planting journey takes you, keep this book by your side - and have copies for each member of your team members!